From a distance, I mistook the first one for a large ant. 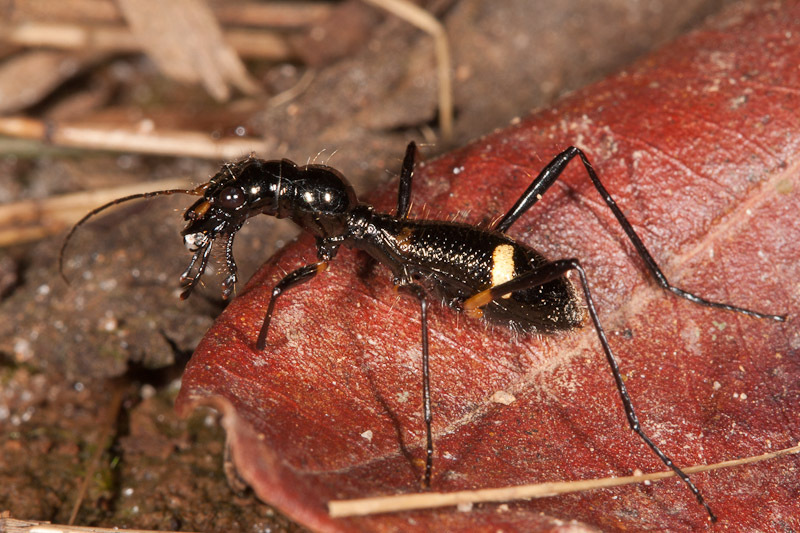 Indeed, they move more like an ant than what I expect from a tiger beetle. I believe they may in fact be mimicking ants, and I found some references to back that up. None gave even a general identification though, so I wasn’t able to search for any online photos. I led with that first photo above because it was the best specimen. Most of the ones I encountered were missing legs or antennae. None of my photos turned out all that well. There was just too much contrast between the highlights and the dark body. In this final photo, I was trying to show from a distance how they might be mistaken for an ant. Look at the full-size image and you’ll see this one has a little hitchhiking mite. Oh man, I’m ooglin’ over these guys. Yes, a tiger beetle, and I suggest something in the genus Ctenostoma. According to Pearson and Vogler (2001. Tiger Beetles. 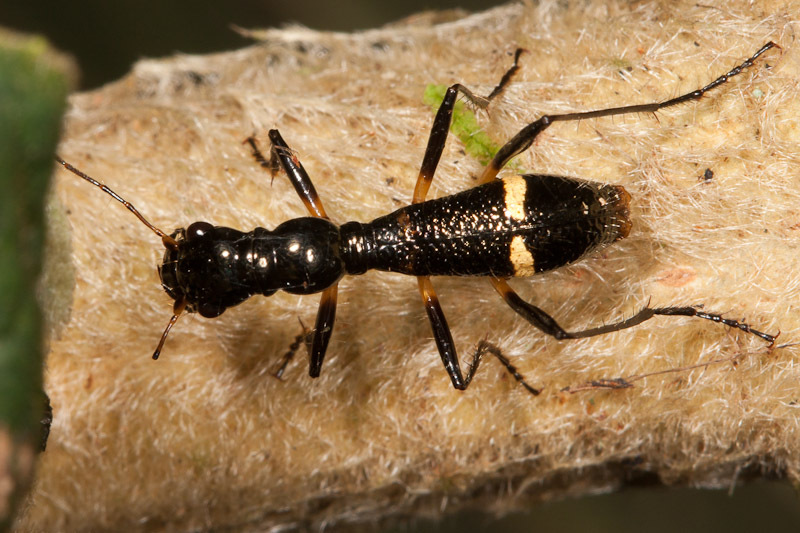 The Evolution, Ecology, and Diversity of the Cicindelids), “the arboreal tiger beetle species Ctenostoma regium is the same size and shape as the viciously stinging and solitary ant Paraponera clavata” (bullet ant). This one doesn’t have quite the same markings, and it could very well be undescribed. I saw that genus mentioned in Hogue’s Latin American Insects and Entomology. He mentioned they were arboreal, so I did a google image search but didn’t find anything all that similar. There was no reference to ant mimics in particular there. One of the few Portuguese texts that I have (Eurico Santos. 1985. 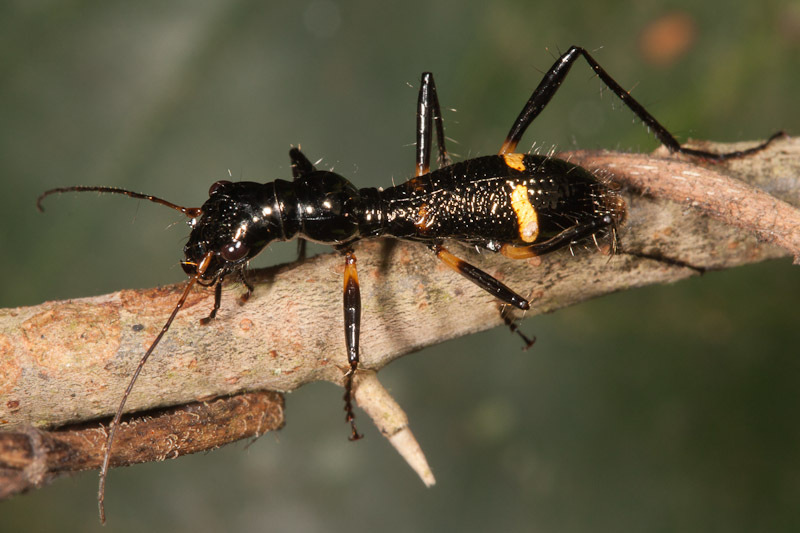 Os Insetos) mentions there exists some wingless Brazilian tiger beetle species that not only mimic but actually live among ants in the subfamily Ponerinae. These clearly aren’t wingless, but I thought that was interesting. I don’t think these beetles are clearly not wingless unless you’ve seen them fly. 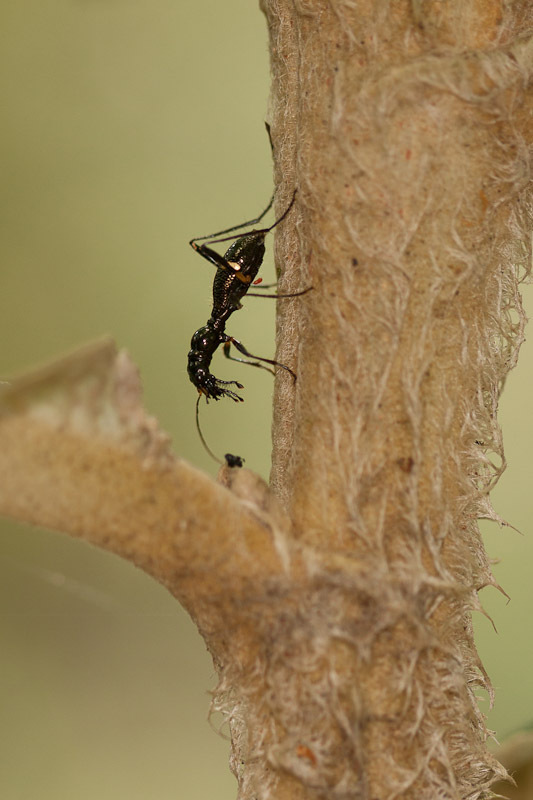 They are indeed of the genus Ctenostoma (subgenus Myrmecilla)and are ant-mimcs. I think the light stripes serve to break up the abdomen and make it appear smaller at the tip, more like an ant’s. What’s interesting with these is the first faint stripe. Did you see it? I’m wondering if over time that one is going away or becoming more distinct. Very cool. You all saw this one, correct? Ctenostoma (Euctenostoma) rugosum Klug, 1824, from Rio de Janeiro. It looks similar, but not identical, to me. I didn’t see that page, but I did see other images of that species. That’s a nice site that I wasn’t aware of. It is very interestin Cicindelidae. I collected in Venezuela one species of the same genus, but it has reddish legs. It is possible that it will be another specie.